This is a recycled Canon-compatible cartridge that has been factory serviced, refilled, and tested. This cartridge will perform as well or better than a new OEM cartridge and will often contain more ink than a new cartridge. 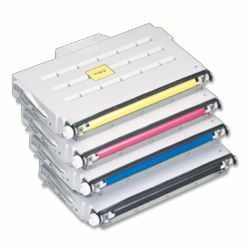 100% guaranteed.Canon Fax & Multifunctional Supplies Canon FX3 L250/300/MPL90 Black Fax Toner Cartridge Canon is a leader in professional business and consumer imaging equipment and information systems. By developing innovative, high-quality business solutions Canon makes it easy to create, manage, and share images and information better, faster, and more efficiently. All genuine Canon accessories for all your needs.